On June, 24, 2016, over at Public Discourse, Matthew Franck published a review of my latest book, Taking Rites Seriously: Law, Politics, and the Reasonableness of Faith (Cambridge University Press, 2015). 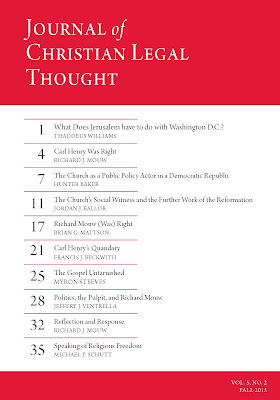 Dr Franck is the Director of the William E. and Carol G. Simon Center on Religion and the Constitution at the Witherspoon Institute, as well as Professor Emeritus of Political Science at Redford University. 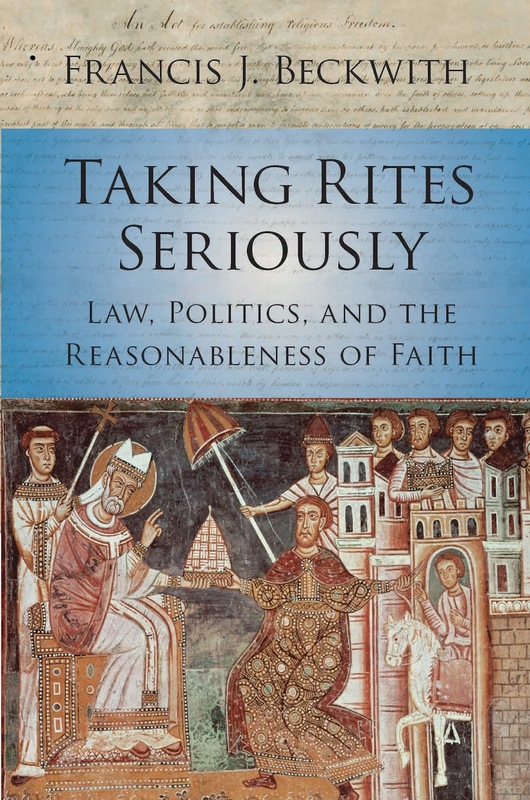 I am happy to report that he agrees with the book's central thesis, namely, that judges and legal scholars often misunderstood, misrepresent, and in some cases, caricature, the epistemic status of religious beliefs. He does, however, have reservations about my critique of Intelligent Design in chapter 6, though it doesn't surprise me. That is one part of the book where I thought I would get the most push back from some fellow travelers. 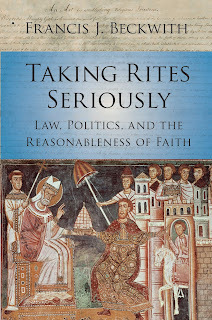 He concludes his review with these words: "But this is a small reservation about an excellent book, written with admirable clarity, and amply demonstrating the compatibility—indeed the happy and mutually fulfilling companionship—of faith and reason, even and especially in matters of public life." 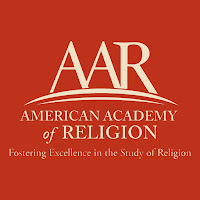 I am not only pleased, but honored and humbled, to announce that my book, Taking Rites Seriously: Law, Politics and the Reasonableness of Faith (Cambridge University Press, 2015) has been chosen to receive the American Academy of Religion's 2016 Book Award for Excellence in the Study of Religion in the category of Constructive-Reflective Studies. 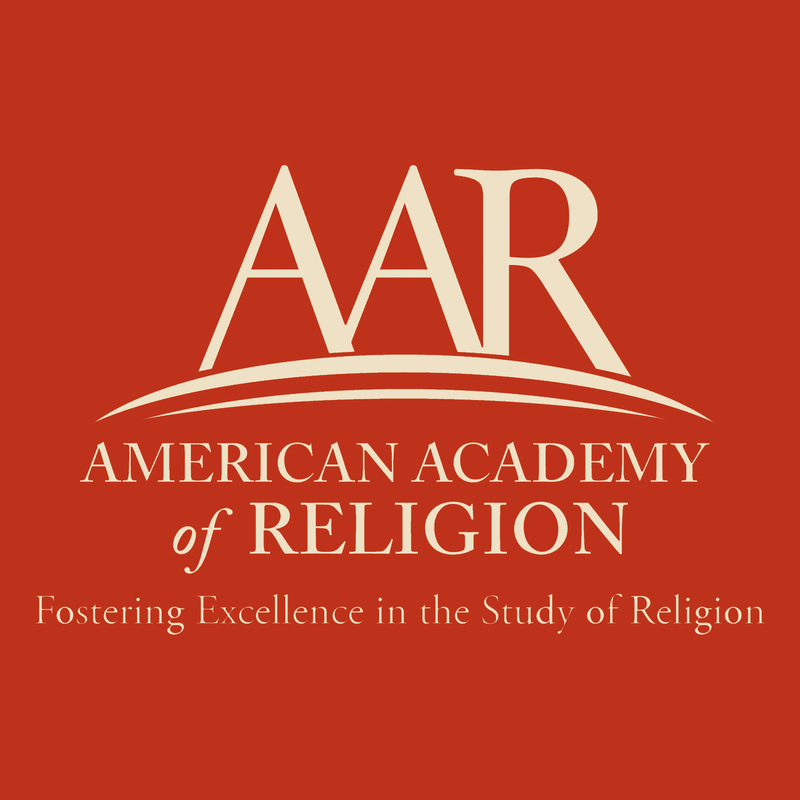 According to AAR's August 22, 2016 press release: "The awards honor books of distinctive originality, intelligence, creativity and importance; books that affect decisively how religion is examined, understood, and interpreted. For more information, please see https://www.aarweb.org/programs-services/book-awards. Awards will be presented at the AAR’s 2016 Annual Meeting in San Antonio, Texas, on Sunday, November 20, 2016, at 7:30 PM." I am honored and humbled to report that I was informed this morning by Professor Mirela Oliva, National Secretary of the American Catholic Philosophical Association (ACPA), that "the voting members of the [ACPA] have elected you Vice-President/President-Elect. Congratulations." She goes on to write: "[Y]our term as Vice-President will begin at the conclusion of this year’s Annual Meeting and it will last until the conclusion of next year’s Annual Meeting. So you will be Vice President at the 2017 Meeting. At the end of that meeting, you will assume the duties of President and will remain in that position for one year. So your presidential meeting will be the 2018 Meeting." When I think of the stature of not only the ACPA's prior presidents but also its most accomplished members, I do not exaggerate when I say that I am honored and humbled by this news. The Waco Tribune-Herald: all the news that's printed to fit. That changes things a bit, doesn't it? In February I was offered and accepted the position of Visiting Professor of Conservative Thought and Policy at the University of Colorado, Boulder for the 2016-2017 school year. My home institution, Baylor University, has graciously permitted me to take a one-year leave of absence. Here's the philosophy department's description of the course: "This is a special team-taught course, led by Professor Robert Pasnau, a leading historian of medieval philosophy, and Visiting Professor Francis Beckwith, a prominent Catholic moral philosopher. We will work our way through the central ideas of Aquinas's philosophy, beginning with his conception of human nature, followed by his account of human happiness, the nature of God, and his theory of natural law." I am honored to be team-teaching this course with such an accomplished scholar. The official university description reads: "Philosophical introduction to some of the central concepts and beliefs of religious traditions, focusing particularly on the question of the existence of God and on the relation between religious beliefs and moral beliefs. Approved for arts and sciences core curriculum: ideals and values." 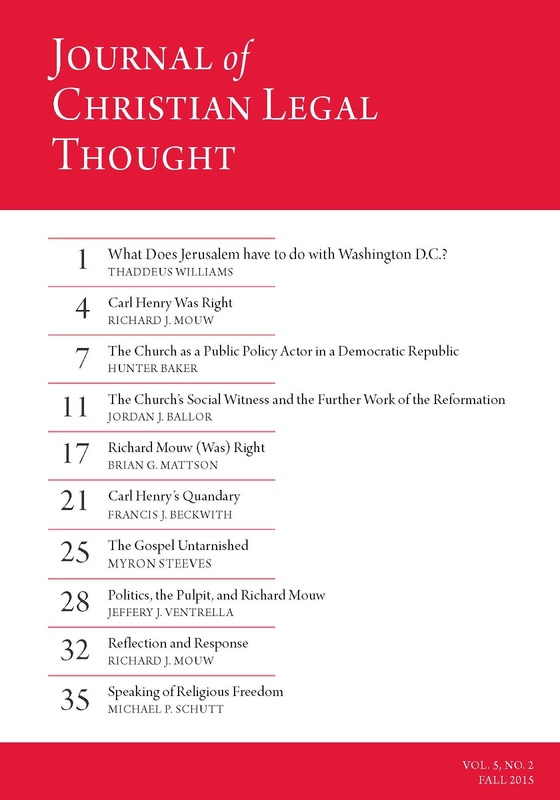 My plan is also to cover some issues of faith, reason, and public life, questions I've addressed in my most recent books, Taking Rites Seriously: Law, Politics, and the Reasonableness of Faith (Cambridge University Press, 2015), Politics For Christians: Statecraft and Soulcraft (InterVarsity Press, 2010), and Defending Life: A Moral and Legal Case Against Abortion Choice (Cambridge University Press, 2007). Of course, we will be examining differing perspectives, including those critical of the views I defend in my works. Because I accepted the CU offer after the official Fall 2016 schedule had already been published, the second course, "Philosophy and Religion," does not appear on the published scheduled, though one can register for the course if one is a CU student. So, if you are a CU student and are interested taking either one of these course, I hope you would consider signing up for either one. I am looking forward to my year at CU. If you want to read more about the book--including the table of contents and an excerpt, go to the book's website takingritesseriously.com.